A printer for use at home, is not the same printer must be purchased for use in a business, here a publication that will help you choose the best printer for business. A company requires many printed pages per month, this means having a tough printer and it is not a problem or force the printer when you send a lot of pages for her. When selecting the printer is recommended to know what types of printers in the world. It helps to know which are the best brands of printers on the market, not all manufacturers make printers for business use and not all printers are for business use, it is important to ask who sold us the equipment which is the use to which it can result, if the seller does not know how to read the documentation provided by the manufacturer. A quick recommendation is that a printer for business use must be of laser technology, this is the only way to ensure consistent performance and cost per page cheaper. Although we can get cheaper the cost per page with an inkjet printer, such as a printer continuous ink system is not possible that it has a consistent performance due to operation. A printer for business use requires strength and durability. The business printers are recommended to have more than one tray that can put more than one type of paper, it is possible that this the use more than one person because it is connected to a network, difficult work when we are forced to stand on your desk to put a type of product you need to print. The advantage of such printers with over a tray of pages is that we can use two types of pages at once, saving time when we have to stop and change a page and then print and search again. Management of documents printed on a printer you can know that many pages have been printed with a specific printer and the user is printed, most printers today bring a counter recommended pages integrated. 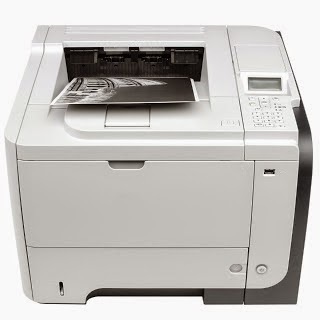 The guarantee is an important buying a printer for business use factor, these printers usually have errors in their time of use that can make life a bit difficult, it is recommended to have on hand a documentation supporting the time we have with the equipment and that this is not the appropriate printer for damage. The yield consumable needs to be effective and economical, since we have a consumption in large quantities and constant need to be guaranteed the cost per page is the most economical as possible, find out how many pages yields a consumable and what the price is a task we have to have pending. An ethernet cable also helps a lot to share printers on an extensive network, with this type of network will not be necessary for the computer where it is installed the printer stays on all the time. We can decide to buy a copier and use it as a printer, is something that is done often with copiers since the vast majority of them nowadays bring as ethernet ports both USB in which we can make a facility that can be printed as a printer, so kill birds with one stone because we have a copier printing and both can be used as printer or copier. Buying a printer for a company is a very important decision which we have to take a lot of responsibility, it is a high cost we have to pay and every day we will have in the office, if the team we have selected a team not much quality or low resistance lose a lot of money and come to feel cheated ornot, we are clear that bad maybe not the printer if not that we put to work in the wrong place.